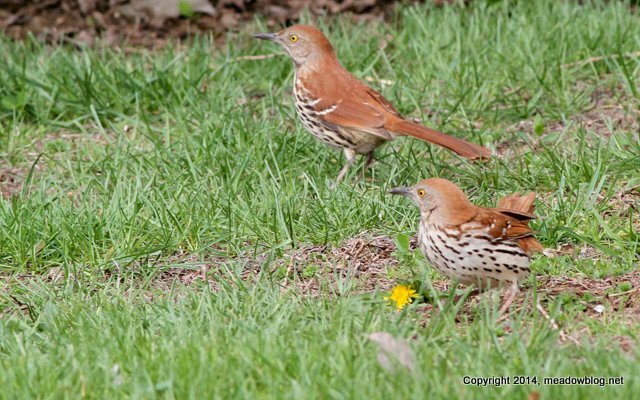 We had some nifty Brown Thrashers along the Kingsland Overlook Trail yesterday morning. 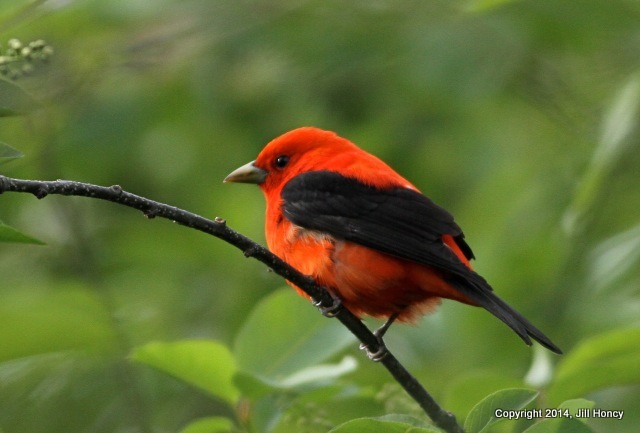 This Sunday is our fifth annual Mother’s Day Walk in Ridgefield — featuring a walk through the Rifgefield Nature Center, the nearby Community Gardens, a visit to see the local Monk Parakeets, and visit to the Skeetkill Creek Marsh. 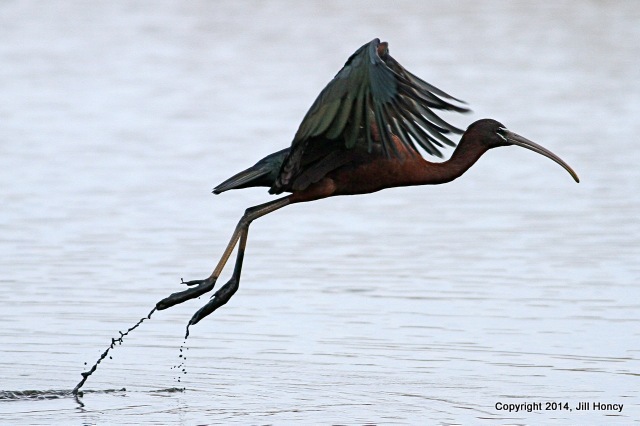 Afterward, we’ll drive to Bell Drive and see what kind of avian activity is near the Bald Eagle nesting site. 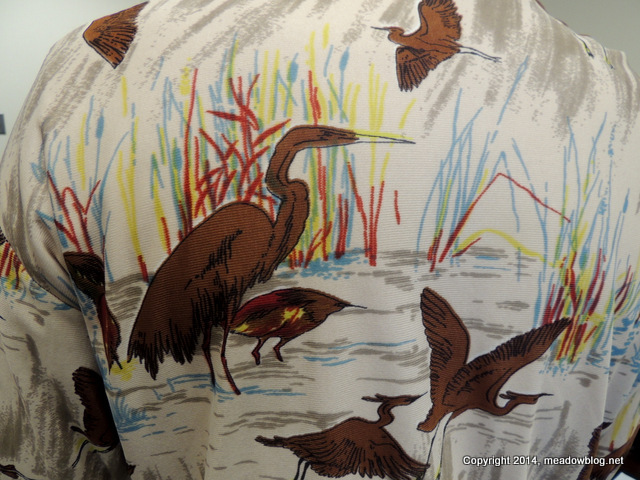 An NJMC staffer wore this shirt a while back, and we were wondering what kind of bird is depicted. It is an especially attractive brown, no? 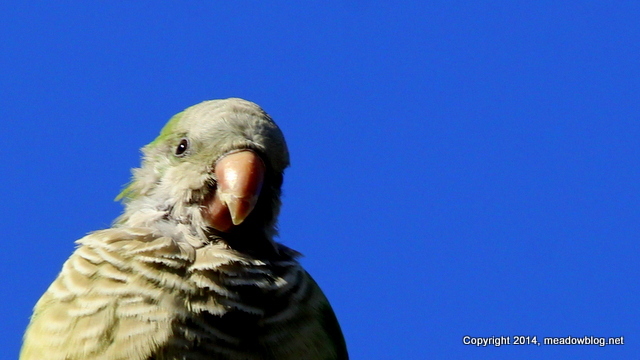 Not certain that it is a Meadowlands bird, though. 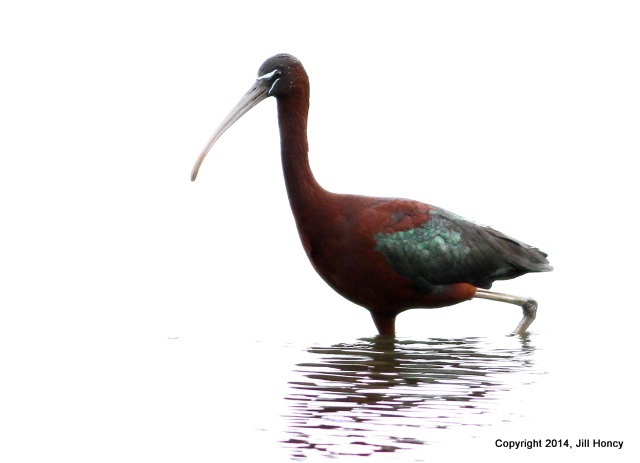 Saw two Glossy Ibises as we drove in to DeKorte this a.m. at 8:45., but did not see them last we checked, around 10 a.m. They were in the Shorebird Pool near the MEC. Chris Takacs shared this pic of the quintet seen here yesterday. Five years ago, as part of the N.J. Meadowlands Commission’s Oral History Project, we interviewed lots of folks about the region in the old days. We are reprinting the best of them here, every Tuesday, for 11 weeks. 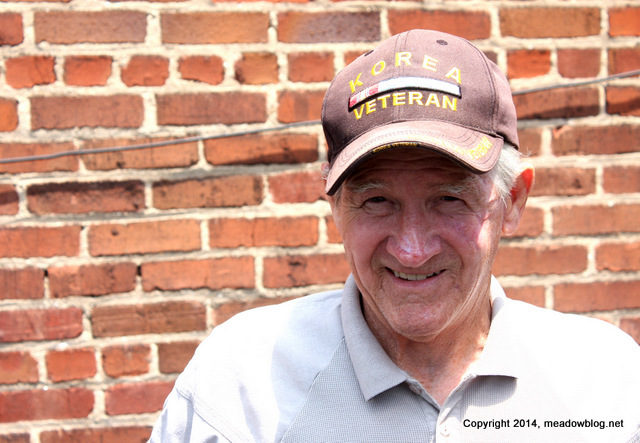 This week: Korean War veteran Earl Jensen of Lyndhurst recalls growing up near Horseshoe Creek. The area of the swamp where all my activities occurred was east of Lyndhurst and North Arlington. In 1946 the western spur of the turnpike had not been laid down yet. The Erie and the Lackawanna Railroads and the Jersey City water line were the only reminders of any modern-day progress passing through the swamp. To me, the grand swamp was a picture of the past with all its natural wonderment. Click “Continue reading …” for the rest of Earl’s account, as well as Earl’s old photos.